It’s very easy to get caught up in human drama, stress and worry. 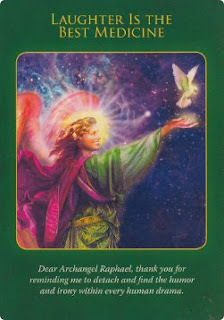 This is the time we need to take the guidance of Archangel Raphael and bring joy and laughter into our lives. May you have a jovial day. I love you all.